Arsenal have been boosted by Danny Welbeck's return to training during their warm-weather break in Dubai. 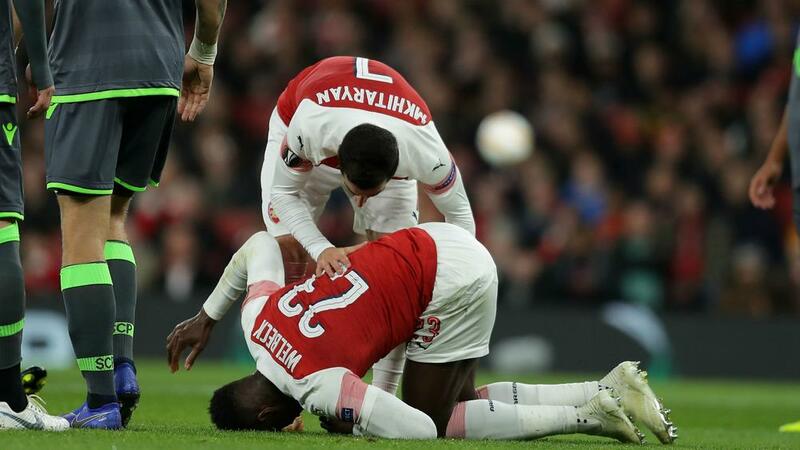 The England international was hurt during the Gunners' 0-0 Europa League draw with Sporting CP, falling awkwardly on his foot. But Welbeck was back in training again on Friday during Arsenal's warm-weather break in Dubai, with a video posted to the club's Twitter account showing him being put through his paces by a fitness coach.